Virginia's gambling & poker laws provide a bit of leeway for poker players. On one hand they don't allow online poker. On the other hand, though, US poker sites still accept players from Virginia. You can host and participate in private home games, too. So things could be worse. We cover these topics and more in detail below. 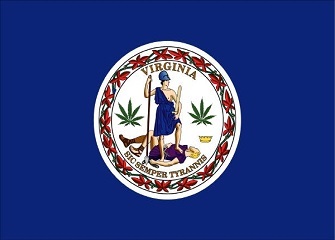 Is Online Poker Legal in Virginia? No. Although Virginia doesn't have a statute like "internet gambling," or "online poker," I think they're current laws cover it pretty well. 1. "Illegal gambling" means the making, placing or receipt of any bet or wager in the Commonwealth of money or other thing of value, made in exchange for a chance to win a prize, stake or other consideration or thing of value, dependent upon the result of any game, contest or any other event the outcome of which is uncertain or a matter of chance, whether such game, contest or event occurs or is to occur inside or outside the limits of the Commonwealth. I think that covers online poker as well as you could without specifically making a law for it. Poker is also more likely to be considered a game of chance than a game of skill, evident by a judge's ruling from earlier in 2013. After hearing testimony from math experts and world champion poker player Gregory Raymer, Portsmouth Circuit Judge Thomas S. Shadrick ruled that Virginia's anti-gambling statute does cover Texas Hold 'Em because "the outcome of any one hand is uncertain," making it a game of chance. This case was regarding a person running a poker club. But I think the idea still applies here, too, that Texas holdem, and consequently any poker game, is going to be considered a game of chance in Virginia. Therefore it's illegal to play. Home or "social" poker games are legal in Virginia. You just can't be an operator, which means not running a casino in your home. So you shouldn't take a rake, charge a house fee, and to be on the safe side, charge people for food. I would keep any money that is made to the game itself and you should be ok.
Do Casinos in Virginia Offer Poker? There are no brick and mortar casinos in Virginia. Residents will have to travel to neighboring states such as West Virginia and Maryland if you want to play live poker and casino games. We receive a lot of questions about Virginia poker laws. We thought it would be helpful to post the most common questions and our answers here for everyone to read. Not any time soon. Not only do they have a conservative as their Governor, they've not made any efforts one way or another to show that they're interested in regulating online gaming in their state. Whenever there are updates to Virginia's gambling laws or situations you'll find them here in this section. 3-1-2013 - The Virginia State Supreme Court decides not to decide whether or not poker is a game of skill. The judge in the case, however, did say that Texas holdem falls under the current state laws (making it illegal). Is there an online poker room that accepts players from Virginia? Yes. Despite the laws, USA accepting poker sites still accept new sign-ups from Virginia residents. You can play at sites like Bovada, Sportsbetting Poker and Sportsbook.ag. What other forms of regulated gambling is offered in Virginia? Virginia allows bingo games, raffles, instant bingo and runs a state lottery and Pari-mutuel wagering. Where can I go to learn more about Virginia's gambling laws? Here are some interesting facts about poker, gambling and Virginia. If someone loses more than $5 in a 24-hour period while gambling illegally in Virginia, they can sue to cover their losses. Counties in Virginia are able to pass their own anti-gambling laws, so long as they don't conflict with the state laws. Penalties may not be great than 12 months of jail time or $2,500 in fines. If you earn a gross income of $2,000 or more in one day of gambling, you risk being charged with felony illegal gambling. That comes with a minimum of 1 year in prison.